Are you new to game development or you’re working on your first game we’re going to talk about something really interesting today we’re going to go over five things that you need to get started making your first great game coming up. What’s up guys Tim Ruswick from Game Dev Underground gdu.io helping you build finish and launch better games. Today we’re talking about great games. But more specifically the things that you need to build a great game. 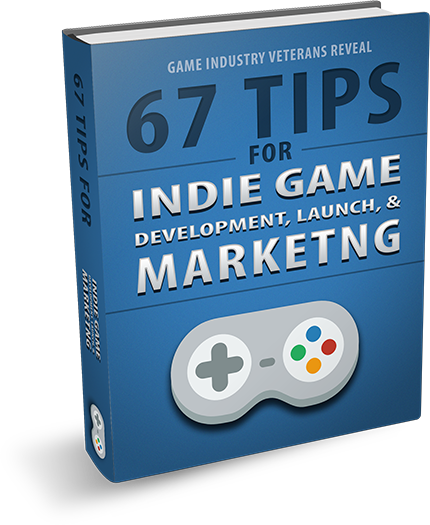 Now I’ve got a list here of five things that I came up with to kind of help out the beginners and and figure out what what they need to actually make a great game because a lot of people they ask me questions like this all the time. I get questions I get emails I get tweets I get all kinds of stuff people asking like Tim what do I need to make a good game? Is this awesome? Should I pick this engine? What do I do? I have an idea how should I make it? And I thought I would go over the basics of what you need to make a great game the five things you need and kind of detail stuff from there. So if you’re little more advanced this may not be for you maybe skip this one but if you’re new to game development or like I said you’re working on your first game this is going to be interesting. So let’s get right into it. Number One, you’re going to need an idea. Now I was actually surprised when I started making YouTube videos that a lot of people actually struggle with their idea. They don’t have an idea for the first game. I didn’t realize this is a problem because I was personally always had way more ideas than I could possibly ever create into a game. Like I had ridiculous amount of ideas. I have entire notebooks full of ideas. So for me to understand that okay there’s people out there that don’t have ideas was like whoa so I figured this would be something that we talked about. So if you are working on your first game if you’ve never made a game before the idea that you create should not be original. You should copy someone else’s idea. You should you should try and build an existing game to understand how that game works. You start with something like Pong or Space Invaders or you know like a space shooter that kind of thing Asteroid. You should start with one of these really simple games that you can build because you will learn the specifics of why games work. Why does this game work? What makes this game fun? What makes this game interesting? You learn all that while you build plus you keep it simple so you make sure that you actually finish your first game. So the idea is really important. And if you have an idea for a super custom crazy MMORPG kind of game maybe put that aside for now and work on creating something copying something first because that’s the easiest way to learn that’s the easiest way to get stuff done. So the second thing you need really simple you need a computer. Now the reason why I wanted to add this in there is because a lot of people think they need a super computer. They don’t need a super computer. You can use any regular laptop straight off the shelf these days. If you go on Amazon or you go in Walmart and you spend two three hundred bucks your laptop will be able to run modern game dev software. Especially the 2D stuff. The 3D stuff maybe pushing it—Unity and like bigger graphics and bigger worlds maybe. But if you want to make a 2D game with Concert 2 or Game Maker or something like that you all you need is an off-the-shelf laptop. You don’t need a supercomputer. You know you don’t need anything super special just get started with that like you can make game really simple these days with a lot of these off-the-shelf engines. So don’t get stuck on the fact that you don’t have the equipment you don’t have an SSD you don’t have 32 gigabytes of RAM you don’t have you know all this stuff, that’s not going to help you in reality. What’s going to help you actually getting started with the computer you have. So number three you’re going to need an engine. Now I recommend that you start with something simple even two-dimensional if you can. I’ve heard a lot of people recommend Game Maker I don’t use Game Maker but I’ve heard it’s a really good starter engine. I use Concert 2 I really like that engine a lot. Concert 3 is pretty much the same thing in your browser I don’t like the browser functionality but a lot of people do. So I mean literally you can go on their website and like have a game maker tool open up in browser which is pretty cool for a newcomer that you know maybe doesn’t know anything about game engines. Having that right there with no installation no setup no worry about dependencies or DirectX or any of that stuff can be really cool. So I recommend you pick up something super super tiny just pick one don’t overthink it don’t think like oh if I learn this and that’s wasted time that I won’t have learned this don’t do all that just literally pick one and go with it. Like I said I would start with Game Maker or Concert 2 but whatever one you feel like using I would just go with it. Learn that it’s super simple don’t overthink it. Number three or number number four you’re going to need the Internet and again this is some of the most people have like it’s not you don’t need a super speeds you don’t need like a crazy epic 40 meg upload speed. You don’t need any kind of 100 meg download speed you don’t need anything big or crazy. All you need is access to the Internet and a willingness to Google stuff. Google tutorials go on YouTube go on Udemy go on any of these places you can find tons of tutorials for whatever engine you pick whether it’s Game Maker, Concert 2, Unity whatever. It’s right there for you. So use it. You know if you don’t have at home go to a library or libraries of free internet that I’ve been to anyway. Starbucks McDonald’s all those places have free internet. Number five probably the most important thing that you need out of all these different things you need determination. And this I say this more but this is the most important thing intentionally because it really is. If you if you are not determined to make a game you’re not going to make a game. Making games this can be complex it can be hard it can be scary it can be you know intimidating to look at and like dive into and learn all this stuff. You’ve got to have determination. You got to be determined to make a game or you’re never going to make a game. This when you’re not determined it can manifest itself in a lot of different ways. It can you can come up with excuses you could say oh I can’t start because I can’t do this now because one day I’ll start because then have more money more time or whatever. Don’t get stuck in those loops. Be determined and start. Those are the only five things you need. Those are not by any stretch crazy back in my day you need all kinds of stuff. Hate to sound like an old dude but like seriously you needed to install dependencies and IDEs and all kinds of crazy stuff on top of it and then you had to compile the thing and then when you sent the thing to your friend you had to make sure they had like DirectX installed and also there’s stuff. Nowadays you know you don’t need any of that. Like seriously idea, a computer, engine, internet, determination that’s it. That’s all you need to make a game these days. It’s super simple it like the process is simple. That when you actually get into it it can get hard and get intimidating stay around people that are going to support you join our Discord group, join our Game Dev Underground you know plenty of people will be there with you to help you make games and do whatever you need to do so that’s it. Hope you guys found this useful if you did please leave me a comment below I love to hear from you guys. Until next time once again I’m Tim Ruswick, I’ll see you then. Previous story Will Your Game “Survive Streaming”?